4 x 2 1/2 inches. Face (lid) held on by magnets! They look just like our best selling Leather Embossed Journals but are actually boxes! 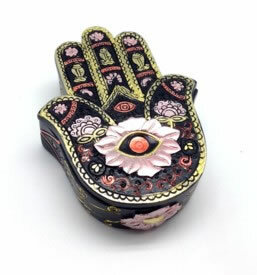 Great for a Trinket Box!